This is news in the German press. She went to Calgary for a concert and bought cowboy clothes. 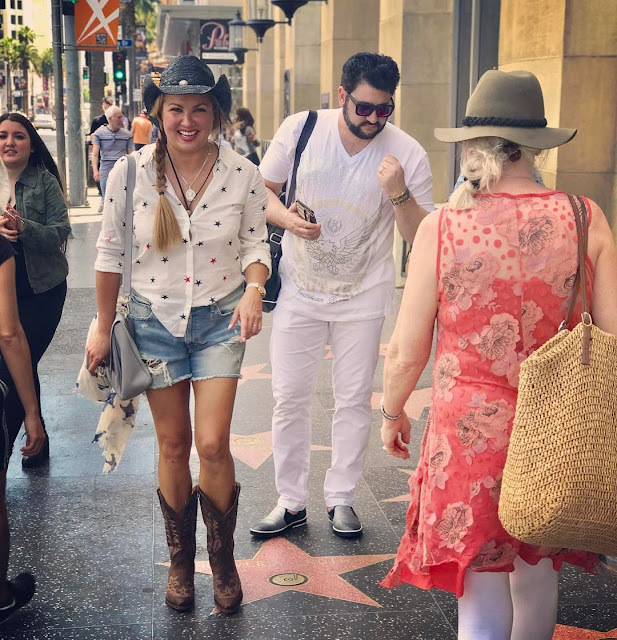 Then she went to LA for another concert and wore her cowboy clothes to the Hollywood walk of fame.